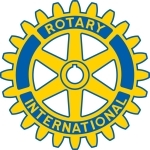 The Top Choir Kent amateur choir contest is organised by the Rotary Club of Canterbury and all profits from the event go to Rotary charities at home and abroad. Chartered (founded) in 1922, the club (Number 70 in RIBI - No 1237 in RI) is one of the oldest in Great Britain. But despite its long history, the club remains a vibrant and active dual-gender club with a membership of more than sixty. We meet on Tuesdays at the St Lawrence Cricket Ground, Old Dover Road in Canterbury. The 1st, 3rd, and 4th Tuesdays are luncheon meetings (1230 for 1300 until 1415). The 2nd Tuesday meeting is a supper meeting (1930-2130).